With Open TimeLimit, you can limit the usage duration flexibly. You can chose different settings for different Apps. You can add extra time, e.g. as reward. This can be set freely and is spent automatically when the regular limit was reached. Additionally, it's possible to limit the usage of extra time. You can disable the time limits temporarily. 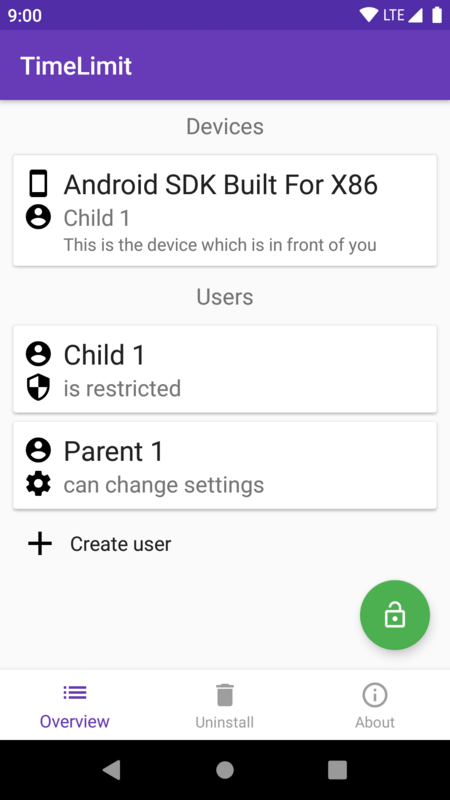 Depending on the Android version, TimeLimit uses the permission for the usage stats access or the GET_TASKS permission. These are only used to detect the currently used App. 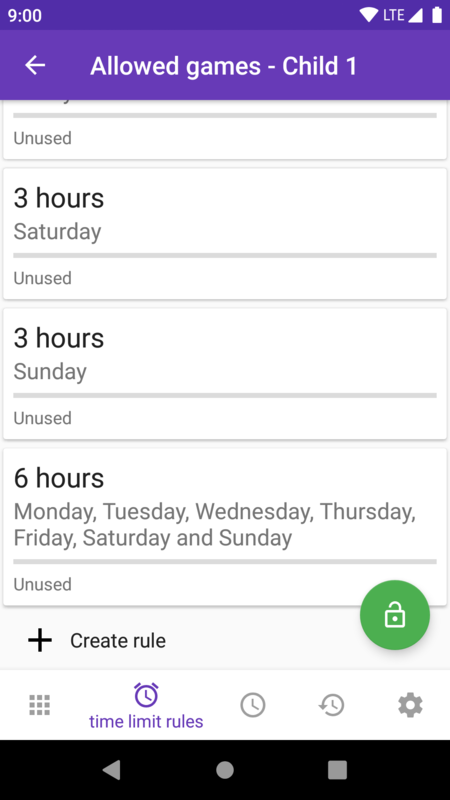 Based on the currently used App, the App is blocked, allowed, or the remaining time is calculated. The device admin permission is used to detect an uninstallation of TimeLimit. TimeLimit uses the notification access to block notifications of blocked apps. Notifications and their contents are not saved.